Our Preferred Partners are distinguished by their affinity with our Garden Hotels. They are sustainably managed enterprises offering innovative products and services which aim to promote quality. 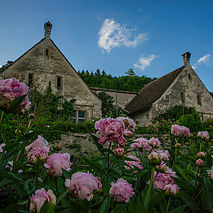 The expertise they offer in a specific field supports our Garden Hotels. This cross-disciplinary collaboration is a unique phenomenon - a partnership founded on a passion for gardens. Our aim is to serve our Garden Hotel guests and the esteemed customers of our Preferred Partners by making more of the valuable asset ‘quality time’, based on the motto ‘Time for myself and more’. Ever since Schwob AG was founded over 140 years ago, it has been committed to two main values - tradition and innovation. Both now and in future, its Swiss location is of central importance. Thanks to our great experience we supply not only the hotel and restaurant industry but also clinics and residential homes. In the course of our company's history, we developed a tradition of innovation under the motto "Look afterthe old - create the new". 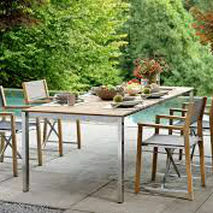 High-quality table, bed and bath linen are the focus of our productivity. We aim to provide creative designs, innovative manufacturing processes and personal, individual service. With our partner Schwob AG we equally share the same philosophy and idea of quality. „swissness“ products for hotel industry and gastronomy which are produced ecologically and environmentally conscious find gladly their way into our Swiss garden Hotels. Ever since it was founded in 1894, our tradition-steeped family business in the Zurich highlands has moved with the times and adapted to changing needs. Today you can enjoy a garden centre that has won international awards, providing an overwhelming range of plants, its own market garden, creative floristry, experienced landscape gardeners and ingenious gardening expertise. There is an inviting restaurant and bistro, a small publishing house on the theme of gardening and a sheer wealth of inspiration for gardens, terraces and balconies. You will be thoroughly delighted! Anyone coming to Bremgarten and expecting to find a regular furniture store will usually be in for quite a surprise. All kinds of things can happen here - a young goat might suddenly skip through the display, children can get so engrossed in playing they totally lose track of time, Linda the donkey may utter a sudden greeting or the warehouse manager could get up to one of his pranks again. In short, our product display is not just diverse and colourful with a splendid floral decoration, it is extremely lively, too ... the Hunn team is one big family - something our customers very much sense and appreciate. Our aim is to ensure customers feel at home with us - and to make shopping a vibrant experience that appeals to all the senses. Many of our customers come from all over Switzerland, sometimes simply to be inspired by our decorations. It is the marked northern character of the soil that makes our vineyards the place from which we draw our strength. An area of 100 hectares was acquired in 1850. Today our estate covers 240 hectares of some of the very best wine-growing areas of Champagne, among the Grands Crus and Premiers Crus of the mountains of Reims, Côte des Blancs and the Marne valley. Each plot of land was carefully selected. 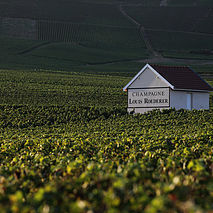 It is our total dedication and love of wine that makes Louis Roederer so unique. Every wine-grower is thoroughly familiar with their own individual vine plot and with the vines they lovingly nurture year by year. As a result, a distinct personal relationship develops between the wine and the people who dedicate their lives to producing it. 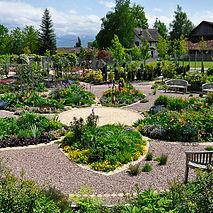 At Lake Constance you can take a journey through the eras of horticulture. Panoramic gardens and parks are a cross-border symbol of the rich history of the region. From the Stone Age, through ancient times and the Middle Ages to the 19th century and beyond to the present; you can experience it all first hand. You don't need to travel vast distance. And if you like, you can simply travel from garden to garden by ship, bus or train.